Paragon Gallery presents Flora & Fauna, a celebration of Spring and with it the return of life! New plants working their way through the earth to meet the sun and animals returning from a winter of lying low. This time of year things are new, fresh and sweet. The selected photograph, Nature Nurture Figure Five, seeks to reclaim our bodies from our complicated contemporary culture in an effort to return them to we truly are--an echo of nature. I am pleased to exhibit Nature Nurture Figure Four at Wanderlife Gallery for their first group show, Place, and exploration into how the word can be interpreted as a location, a feeling, or somewhere that doesn’t exist at all. Hamilton Street Gallery welcomes the arrival of spring in celebration of trees. 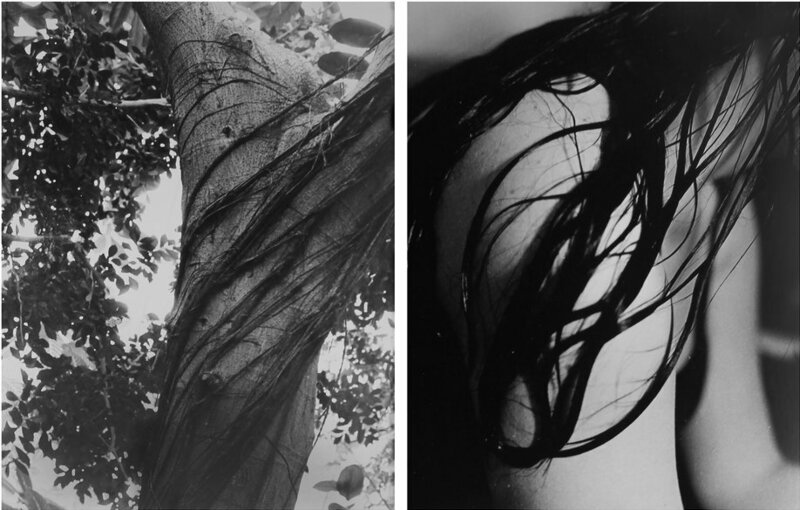 The selected photograph, Nature Nurture Figure Two, seeks to reclaim our bodies from our complicated contemporary culture in an effort to return them to we truly are--an echo of nature. Instead of representing an isolated ideal, the body here is a part of a larger ecosystem; being human means growing, breathing and bettering our environment in society, in nature and within ourselves. Nearly 50 acclaimed chefs, over 400 guests, 11,900 cookies and more than 50 donated works of art can be found at Metropolitan West in New York City for the 6th Annual Chefs for Kids' Cancer gala to raise funds for childhood cancer research. Chefs prepare a 4-course custom meal for individual tables, pastry chefs create cookies for our cookie jar favor, and guests participate in a live auction. Chefs for Kids' Cancer attendees have been overwhelmed by the spirit of giving and donations from the past four years totaled more than $5 million! This year, I will be participating in Garrison Art Center’s sixth international juried small works exhibition featuring artwork that bridges two dimensions. The University of the Arts is hosting its first Fall Bazaar! Come by and get your early holiday gifts, art, and crafted items. 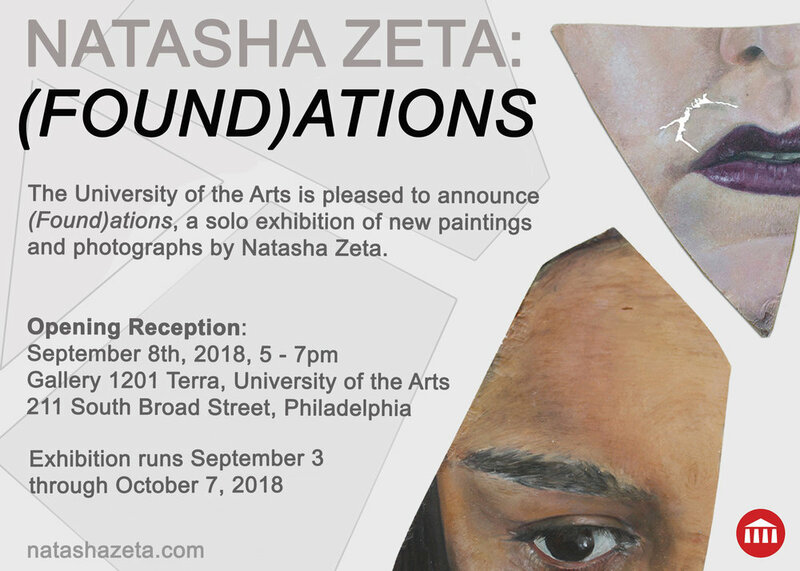 The University of the Arts is pleased to present (Found)ations, a solo exhibition of new paintings and photographs by Natasha Zeta. Natasha Zeta was slung from one side of the globe to the other at a young age, forcing her to create and recreate her origin story with increasing complexity. Focusing on repressed narratives, Zeta explores the malleability of realism and traditional portraiture to capture subverted memories and sensitivities. Zeta’s first solo show features a powerful series of investigations into the reconstruction of and reconnection to the past in order to overcome feelings of placelessness. 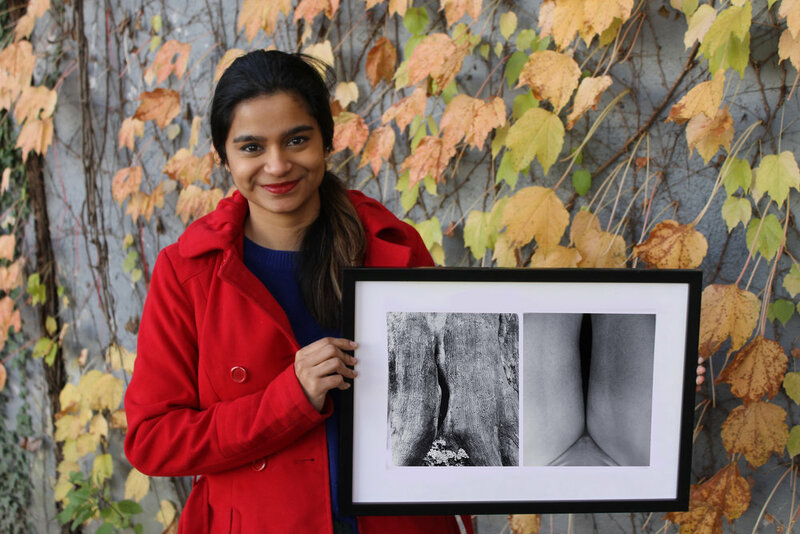 The Media Arts Council Gallery exhibited selected works for their 2nd Annual Juried Painting Exhibition, Reflection. This year’s juror Robert Straight selected 32 pieces from 20 different artists. With a mix of abstract and realistic pieces, this show has something for everyone. Let’s Connect: Philly’s Artists Take on the Barnes challenges the city’s artists to create a work of their own in response to a single work of art in the Barnes collection.